This girl is going to be unleashed on New York City in three days. Where should she go? She's decided that the only guide she needs is Eloise -- because Eloise, like her, is six years old -- but who also limits our choices somewhat. Specifically, to the Plaza. There's a bit more to see in that town, I've been telling her. 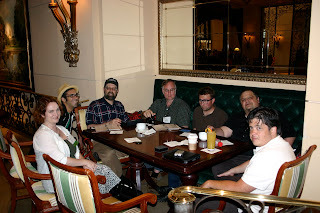 Though we will of course go to the Plaza for tea tea tea. 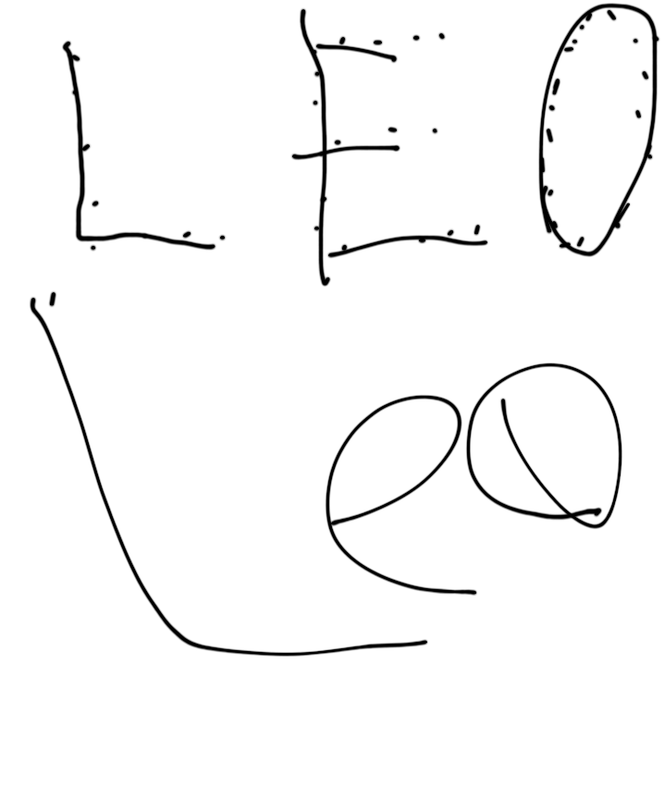 Leo got a stylus for his iPad. It's a Pogo. It's very cool. 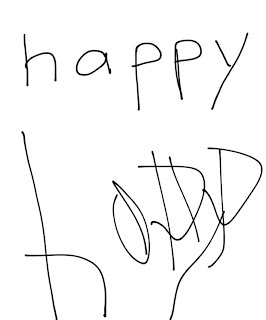 * We're using it with the writing/sketching app Penultimate ($1.99) to practice handwriting and drawing -- when we're not goofing around. The core functionality of Penultimate is no different than line-based drawing apps like DrawFree, and you could certainly use a stylus to practice handwriting with those apps. But I think Penultimate is worth two smackers for its additional features: notebook-like organization and storage of "pages;" paper types (plain, lines, graph); and a clean, professional, well-designed interface. I'm guessing the next, final iteration of Penultimate will be even better. Until then, it's a good way for us to provide anywhere/any time writing exercises for Leo, and for him to practice his writing grip in a motivating environment. 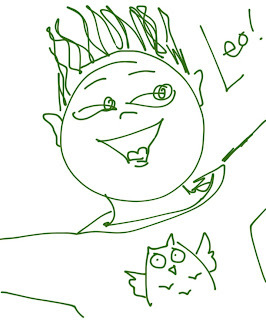 I find that using a stylus gives me more dexterity control. It's not quite equivalent to a good pen on paper -- there's often a tiny tactile lag. Not quite like a crappy pen on paper -- there's no drag/tactile input (or interference, depending on how you process it) -- and perhaps the issue is my adjustment to a stylus interface. 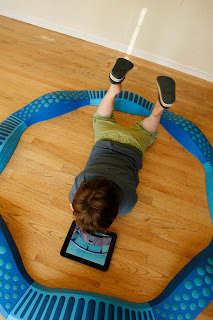 But the lack-of-drag is good for Leo, as it makes stylus practice more fluid, and anything that makes fine motor tasks easier for our boy is welcome. 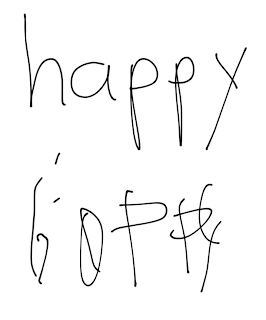 The second "happy" page shows me, then Leo writing "happy" again, but without a stylus. Not nearly as clean as the stylus version, in both cases. I like using the stylus, too. 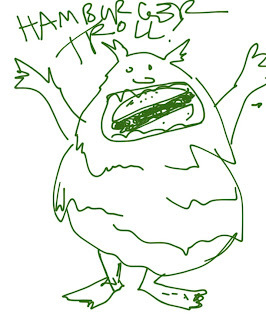 When I moved in a predominantly ink-and-paper environment, it was doodle time all the time. Now that I mostly type, drawing rarely happens, and I miss it. I haven't liked drawing on the iPad before, but with a stylus, it's really damn fun! It's also therapeutic, as when I got booted from the Stanford blood donation center yesterday because my hemoglobin was too low. They ordered me to go get a hamburger, and come back in two weeks for a re-check. I was frustrated -- errands take time, there's a real need for my blood type, and I have no idea why my body was being uncooperative -- but instead of venting verbally to the usual patient victims, I processed my irritation via the iPad. And it helped. So yeah. Stylus. Penultimate. Recommended. *If, like me, you think the stylus looks like something you could make yourself, check out the mixed reviews on the DIY tutorials. Meh. I spent the $10. Disclosure: None, for once. 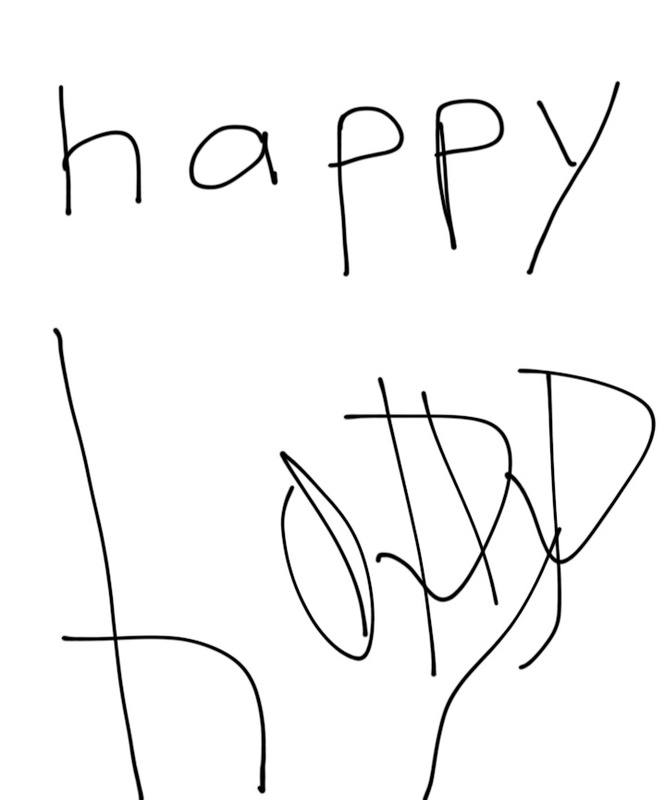 I chose and bought Penultimate after researching the handwriting app category. We let Iz and Mali stay up late to watch the Glee season finale last night. They thought it was a special treat, but thanks to our agent Ellen at Love That Max, I had a secret agenda. 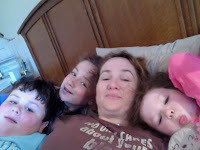 I wanted my girls to see the in-your-face End the R-Word PSA that aired during the episode's second half. If you haven't seen the PSA, go on, watch it. I'll wait. When it was over, Iz (12) jumped up and shouted "Oh thank GOD!" She is weary of being the kid at school who protests and gets smacked down when her classmates toss "retard" and "gay" at each other. Those kids may argue with her, but who's going to argue with Sue Sylvester? No one, I tell you. Iz was elated. Mali (6) considered the PSA a lesson like any other, because this was her first exposure to the PSA's racial slurs, and epithets. I appreciate her being told as straightforwardly as possible by those maligned that the words she heard were not acceptable. I wish a PSA like this had been around when we all were six! The PSA's summary: Not Acceptable "is a powerful and compelling 30 second television PSA which gives voice to a variety of diverse communities each of whom expresses that it is not acceptable to call them by what were once common words, but are now recognized as offensive slurs. It culminates in actress and self-advocate Lauren Potter from "Glee" stating that it is not acceptable to use the word 'retard' and she and "Glee" co-star Jane Lynch make a call to action to stop using the word and to promote the acceptance and inclusion of people with intellectual and developmental disabilities and to make their pledge online at http://r-word.org." 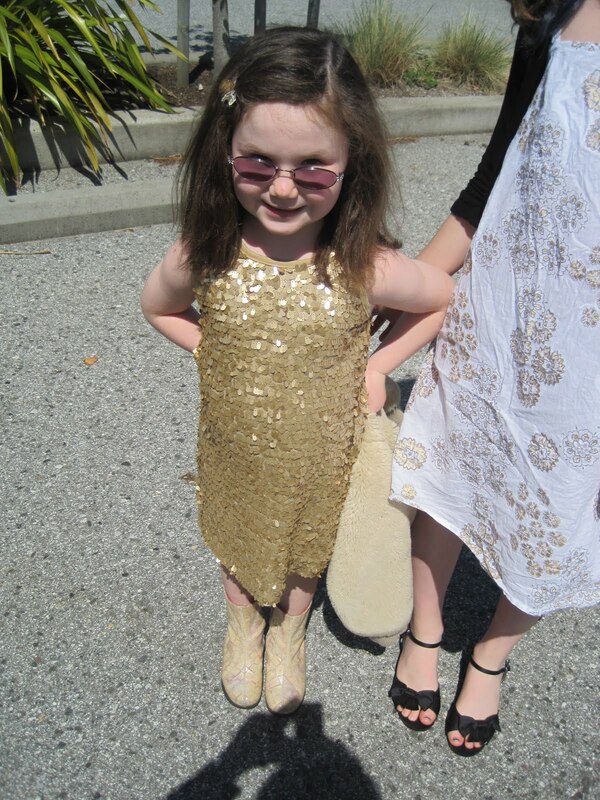 If you’re like me, you’re determined to find ways for your child with special needs to demonstrate what they know, better communicate what they want, and feel like the cool kid you already know they are. The iPad may not be the perfect match for every one of our kids, but for those kids it does suit, the results — the learning, the leisure, the independence — can surprise everyone in their lives, including parents. Including teachers. Including themselves. Read the rest at SupportForSpecialNeeds.com. If you live in the New York City area and would like to talk about all things iPad while helping to support a great Brooklyn school for kids with autism, please come to my June 5th iPads & autism workshop in Soho. And if you can't come yourself, spreading the word is always appreciated. When touch-enabled computing was introduced to the world, no one could have anticipated that this technology might help open up a new world of communication, learning and social possibilities for autistic children. Yet it has. Hacking Autism doesn't seek to cure autism, but rather it aims to facilitate and accelerate technology-based ideas to help give those with autism a voice. And hey: They're looking for developers! Can't wait to see where this project goes, really hoping it takes flight. We need more and better apps tailored to our kids' needs -- and we need to facilitate communication between the autism professionals who can provide great content, and the developers who can design excellent interfaces. TALK TO EACH OTHER PLEASE. HP: counting on you to make it happen. Pacifica is such an excellently funky little town. Did you know it only incorporated in 1957? Before that each of its valleys was its own oasis of funk. 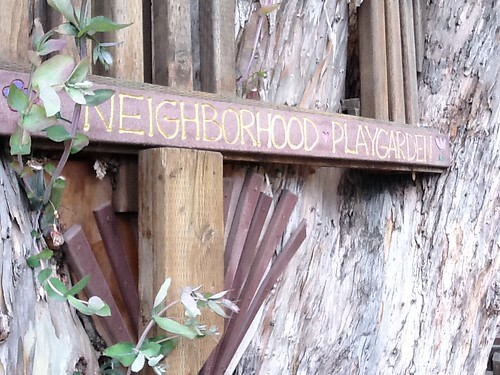 In the Sharp Park neighborhood, where Iz had a soccer game this afternoon, that funkiness was on display in an delightful neighborhood playground that we will be revisiting, oh yes. Because there were very good swings. For swinging, yes, but also for making soothing twin trenches in the tan bark. And there were sit-upon snails. 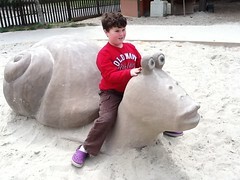 Who hasn't dreamed of getting to ride a snail? And there were suspended wooden beam bridges for testing one's balance and trust in the universe -- could a person make it across such an unpredictable plank not just once but five or six or maybe even seven times in a row? Leo wants to assure you: it can be done. 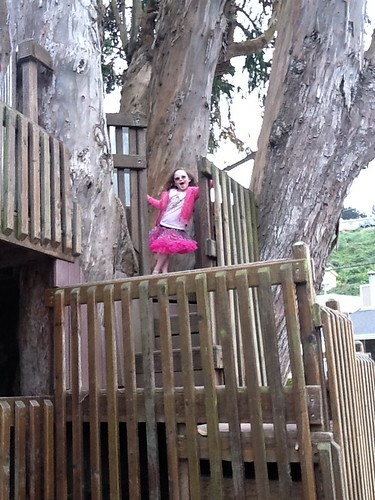 And there was a playhouse that turned into a path that turned into a play structure that incorporated an enormous eucalyptus. Leo did several satisfying circuits. The last few weeks have been so busy. So busy, with the IMFAR-ing and the iPad workshops and the schedule storm that is our life of late, e.g., Iz and Seymour just returned last night from a whirlwind Bar Mitzvah tour of Los Angeles. Today, we all wanted to take it easy. Just for a day. So it was nice to simply ... play. Practice positive vaccination role modeling. Talk about your own vaccination decisions. Encourage parents of children with autism to compare their kids’ home videos*, pictures, and medical records to their immunization records. The autism symptoms may have been there all along. It was an honor to write for the Gates Foundation, and I hope my story reaches the right eyes and ears. 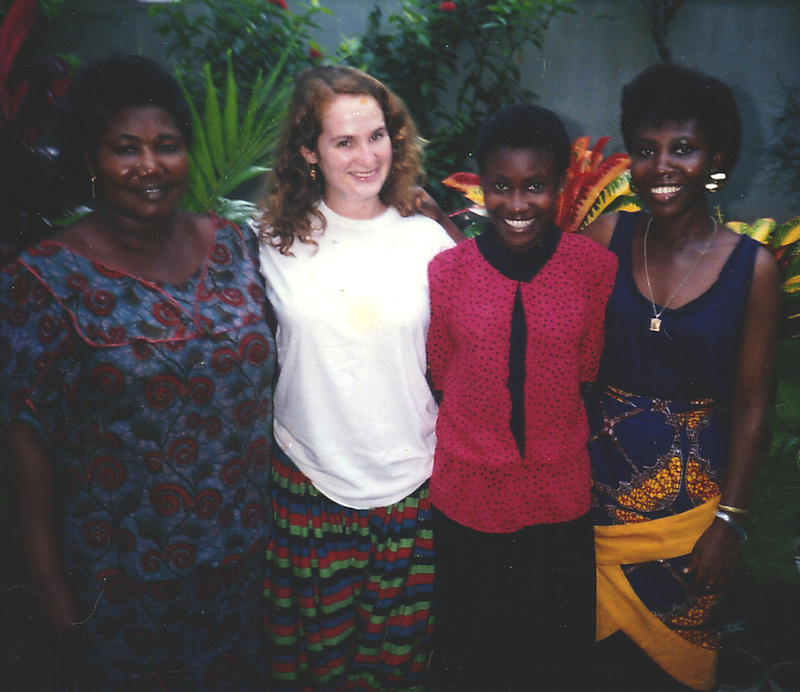 Some of my Ghanaian best friends: Mrs. T., Sylvia T., and Joyce T., who was my University of Ghana roommate and who spoke at my and Seymour's wedding. *The link is my TPGA report from the IMFAR (International Meeting for Autism Research) session Onset Patterns in Autism: Correspondence Between Home Video and Parent Report. 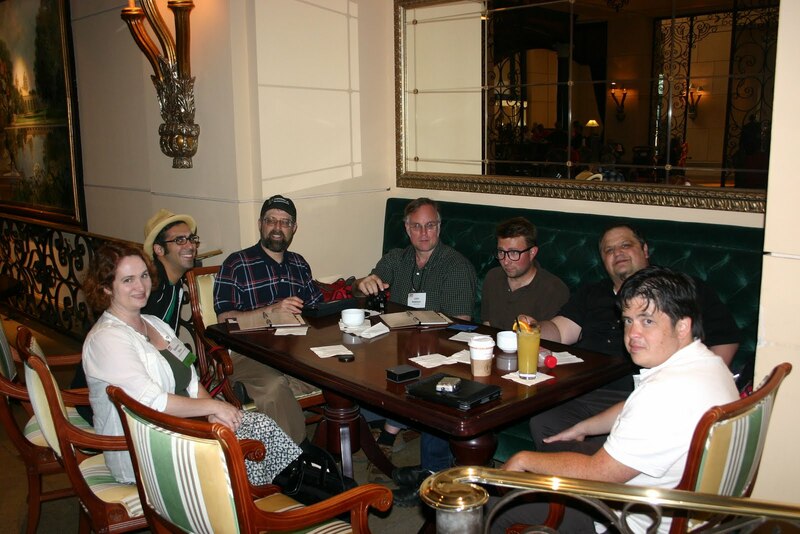 Visit the Thinking Person's Guide to Autism for past and upcoming write ups of the IMFAR sessions I attended. Yesterday's iPads & Autism workshop in San Diego was fantastic! The sold-out crowd of parents, professionals, and educators was enthusiastic, and had such great questions and input that I ended up talking for over two hours, and answering questions for almost two hours more. It was a treat to meet folks from the welcoming, active, and well-organized San Diego autism community. I am indebted to host Janine from GoodKarma Apps -- developer of the crisis-defusing app FirstThen Visual Schedule -- for the invitation, and was delighted to meet her in person after a year of intense online conversations. So much more than an AAC device! Overuse: Are we plugging our kids in? Is an iPad 2 necessary? What to do when an iPad is not in your budget - negotiating with school districts and insurance; online fundraising, etc. Apps and more apps! And then more apps! Get your tickets now, and tell your friends to get theirs, too! Special thanks to @shannonrosa for the inspiration and support - I've raised all the $ I needed to get ipads for both my boys! 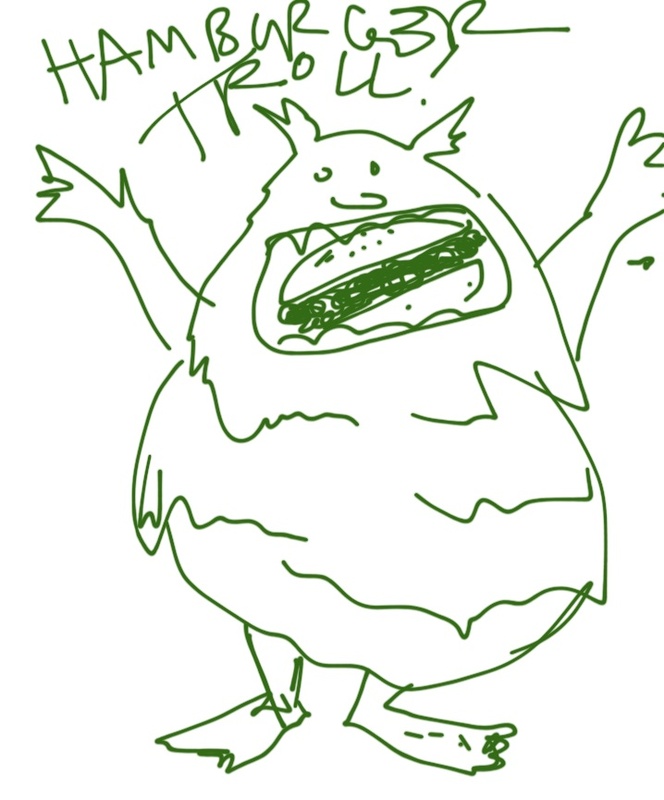 The photo above was taken by a green hairy monster. How many folks can you identify? I've written two IMFAR posts for TPGA already: one about yesterday's tapas-style press conference overview of IMFAR research and presentations, and also this morning's IACC overview by NIMH director Tom Insel. More to come, head over to www.ThinkingAutismGuide.com and LeftBrain/RightBrain to stay updated. 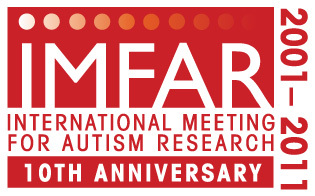 I'll be at IMFAR, the International Meeting for Autism Research, for the next four days. I'll be blogging as much of the conference as I can, at the Thinking Person's Guide to Autism, starting with today's 11 AM PST press conference -- so stay tuned! The number of IMFAR sessions and panels [PDF] is incredible. If you want to make a case for a specific session I should report on, leave a comment and I'll do my best. Thanks again to the Autism Science Foundation for the travel grant that made my attendance possible. And if you're actually at IMFAR, do find me and say hello, or DM me on Twitter: @shannonrosa. Also -- if you'd like to come to Sunday's San Diego iPad workshop, please let me know ASAP so we can fit you in. Apparently Leo is not very happy that I'm gone. Nor that I, uh, took his iPad 2 to lead Sunday's workshop -- guess I should have had that original iPad raffle next week, eh? He does have his iPod touch, but not great planning in hindsight. No (other) regrets -- Leo's former iPad went to a teacher in our very own resource-challenged school district, a teacher who has an included child with autism in her class. So even though folks entered the raffle from all over the country, I got to hand-deliver the iPad, and it couldn't have been a better match. Poor Leo. I'll miss him too. There will be lots of Skype video chatting going on, methinks -- we'll see if that will make him feel better or just makes him more sad. How do all y'all keep connected with your kids, if and when you travel away from them? Hey folks! I'm going to be in New York City on Sunday June 5, leading a three hour iPads & Autism workshop/fundraiser in Soho. It will be modeled on the workshop I'm giving this Sunday May 15, post-IMFAR. I keep hearing from autism families who want to know how iPads can best support their kids's communication, learning, and leisure. I also worry that parents get iPads for their kids with autism based on media hype, and without evaluating whether or not the device is a good fit. And there are so many tips and tricks -- do you know how to use Voiceover so your child can "read" themselves iBooks? Did you know that you don't need an app to make iPad social stories? Nationally known autism and iPad advocate Shannon Des Roches Rosa* leads this in-depth workshop on the the vital need for iPads for people with autism. Ms. Rosa will demonstrate how iPads can be a dynamic and cost-effective communication tool for autistic children and adults, and will discuss the additional benefits of the iPad as well as fundraising, research, accessories, and - of course - apps. So if you're considering an iPad for your loved one with autism, or already have an iPad but aren't sure how best to use it, this is the workshop for you! Workshop proceeds benefit Brooklyn's Reach for the Stars Learning Center, "dedicated to the education of children with autistic spectrum disorders utilizing every possible tool to further their development." *I so did not write this! For kids on the spectrum, being cool can be a rare experience, and Ms. Gold is capitalizing on this to help her students share social experiences with other students in their classes. She regularly holds a group that allows kids in the program to bring a classmate to play in the safety of her office during lunch recess. The chance to play on a coveted iPad makes this invitation rejection-proof and gives the hosting child a valuable opportunity to build a friendship with a peer. Her post ends with a list of apps used by the middle school inclusion program, for those whose kids with autism are more like Drew. But for now, back to apps Leo likes! 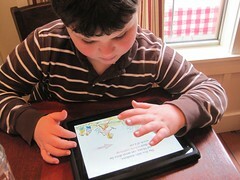 Interactive book apps are such gifts for kids like Leo. Though voiceover functionality and reading modes vary, they all allow pre-readers to, well, read books independently. We thought hard about the pricing of The Three Little Pigs app. We want to make the best possible apps that offer a really remarkable new kind of reading experience, and we don't think that you get that by reusing material that already exists. We commissioned our app from scratch -- lots of original artwork, animation, and music. We used the voices of six children and spent a lot of time in the recording studio. And, of course, we had to create the computer coding that means that the pigs somersault at a touch and the wolf blows down the houses and that every scene looks 3D. People have commented that the price is high, but often compared it to printed books. No one has said to us, or in any review, that it's not worth the money. Though my kids aren't animation connoisseurs (as I didn't differentiate between golden era and contemporary Warner Bros. cartoons at their ages), I do spend a lot of time playing/reading book apps with my offspring, and I appreciate quality (as well as the cute British kids' voices). In my opinion, The high production standards and lushly textured animation of the Three Little Pigs make this a showcase app, like The Elements, for demonstrating what iPads can do. 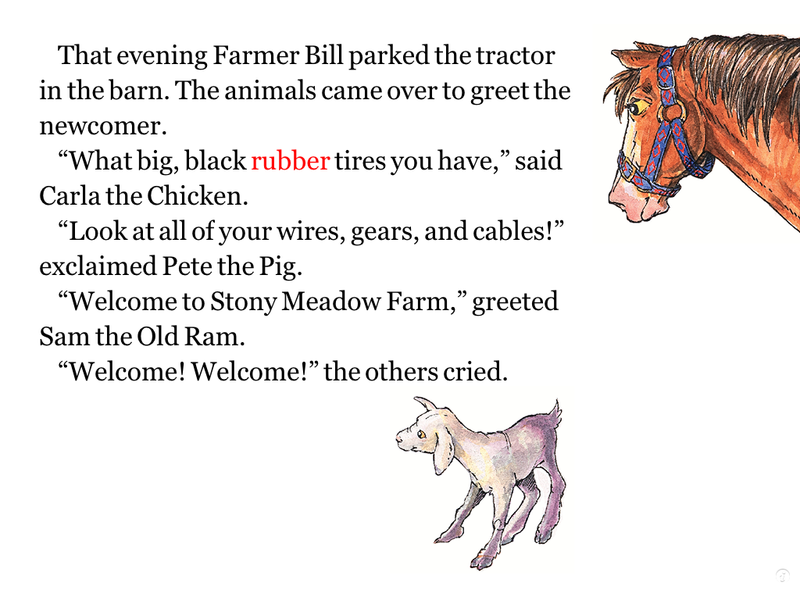 Tractor Mac Arrives ($1.99) is about Sibley, a hard-working farm horse getting replaced by a tractor, Mac -- until Mac gets in trouble and Sibley has to help him out. Leo likes tapping on Sibley to make him whinny. What a Pest ($3.99) is the story of Iz and Mali, really -- a big sister getting irritated by a tagalong little sister. Except What a Pest has less bickering and a happy ending. Mali, unsurprisingly, reads this one a lot. With PicPocket interactive books apps, the voiceover loads automatically, but the word in current play gets highlighted in red so pre- and early readers can keep up. A tap on the text replays it. I actually think varied book app voiceover functionality is a good thing, as it keeps Leo used to adapting, and prevents getting his book app expectations mired, set -- and then exploded when different comes along. 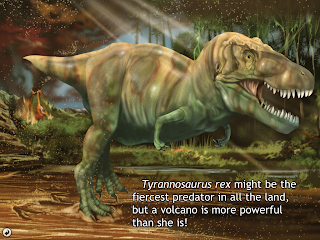 Ruckus Media also has a good selection of interactive book apps. Leo is a fan of A Present for Milo ($3.99), a cute story of a cat chasing a mouse, and which -- of all these book apps -- most resembles the beloved Living Books titles from the '90s due to plenty of clickable incidental animations. The voiceover functionality varies yet again, with words appearing onscreen as they're read. John Henry ($3.99) and Pecos Bill ($3.99) have three modes -- Watch the Video, Read the Book, and Read and Record. The first mode includes no words at all, just voiceover -- again, different. But the first one features Denzel Washington and the second Robin Williams, whom my kids find mesmerizing even without Mississippi Masala and Patch Adams context. And Mali of course *loves* recording her own voiceover for the stories. If you child is a fan of Duck Duck Moose's Wheels on the Bus and Itsy Bitsy Spider apps, they'll probably fall for Wagon Word Wagon ($1.99), too -- and get roped into a spelling app! While Word Wagon has some similarities to WordMagic and FirstWords, other spelling apps Leo likes, Word Wagon takes the drag-tiles-to-spell-words concept one step farther and applies phonics. Instead of the word being pronounced as a block when the tiles fall in place, each sound in the word is emphasized with a hop, as you can see in the picture. 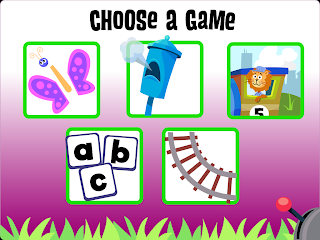 Cute interactivity with category selection and running on a conveyor belt to select spelling words objects makes Word Wagon fun even as your child learns. Leo and I enjoyed playing Speech with Milo: Sequencing ($2.99) together. This app presents three excerpts from an action sequence out of order, and requires users to order them properly. Though Leo can't read the text yet, I can -- and I told him what each excerpt was. He then got the sequencing right almost every time! This, like the other Speech With Milo apps Verbs, and Prepositions, is good for kids who need help developing their language skills rather than (or in addition to) their reading or communication. Mr. Thorne Does Phonics - Letters and Sounds ($7.99) is an excellent app for kids who are starting to read but need phonics help and repetition to cement those skills. 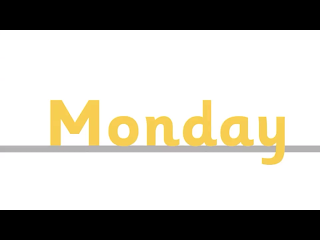 Mr. Thorne has a clever and encouraging videos for each element in several categories -- including individual letter sounds, days of the week, and tricky words that don't look the way they sound. American English readers need to know that Mr. Thorne is British, and so are his spellings -- so you might want comb & curate the videos first to avoid having your child accused of pretentiousness for using the spelling "colour." And Mr. Thorne's is not a small app -- at 711 MB it takes up a goodish amount of space, and is another example of why I recommend getting iPads with more storage rather than less, if possible. With Word SLaPps, you can create your own category folders, and within each folder make a selection of picture icons with audio labels. When you play the app, it serves up a random choice of one, two, or three of the icons (depending on the level) within the category, and uses the audio label to prompt identification. The screenshot to the left shows our Family category -- there are five of us, the app randomly shuffles up three, then says the name/label of one and Leo has to pick it. When he chooses the right icon, it disappears with an animated flourish, and there's cheering! This app makes me glad once again for having an iPad with a built-in camera. All About Me ($.99) is another straightforward app -- for several personal information categories, you import a picture, then fill in the text for that category, whether it's name, address, phone number, parents' names, etc. If you turn on the iPad's built in Accessibility: Voiceover option, then All About Me allows kids who can't yet read to "read" their personal information to themselves. And even though this app is geared to kids like Leo, it has broader appeal to parents of mildly neglected third kids like, for instance, six-year-old Mali, who need extra practice remembering information like, say, my phone number. 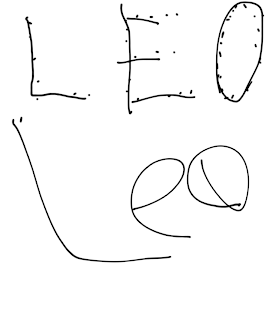 It's not easy to find art apps for Leo that are easy to use yet novel. 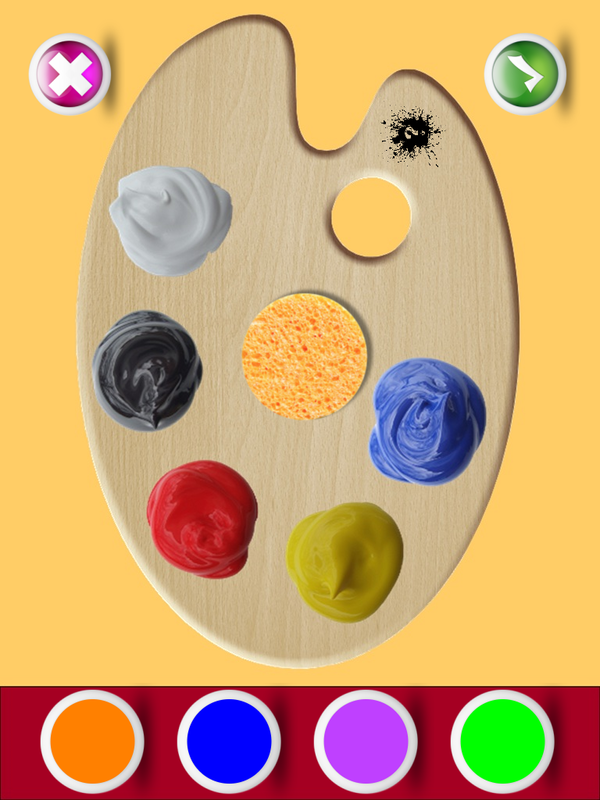 Color Mix ($1.99) lets Leo dabble in color mixing through tapping and dragging -- skills he's got down. 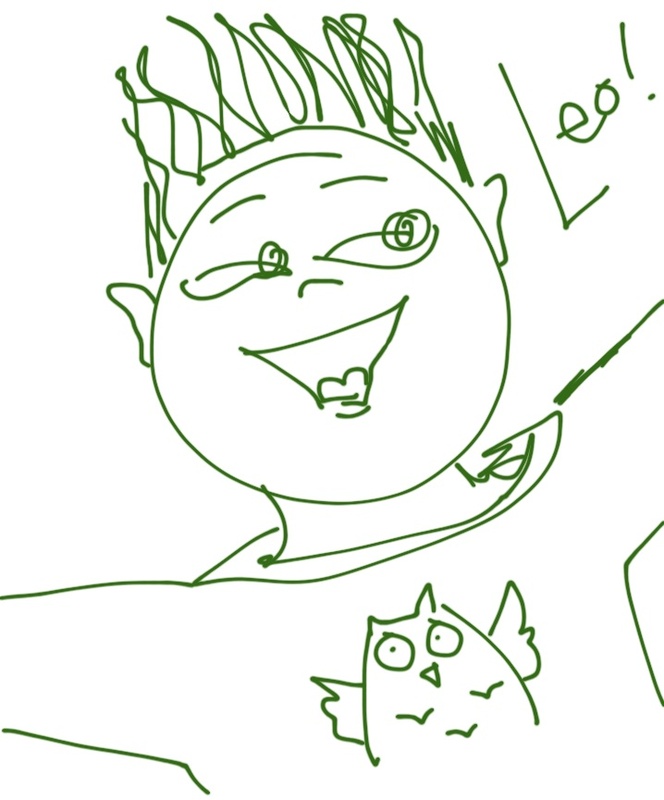 Then he gets to use his newly created color palette in free draw, on coloring book-style pages, or on a dot-to-dot. I especially appreciate that, in the latter two, Leo's coloring goes behind the line art/outlines rather than in front on them. For free-form music play, Leo is currently favoring Dropophone* (free), an app recommended by BubblyGrl. It features a field of blank drop shapes. 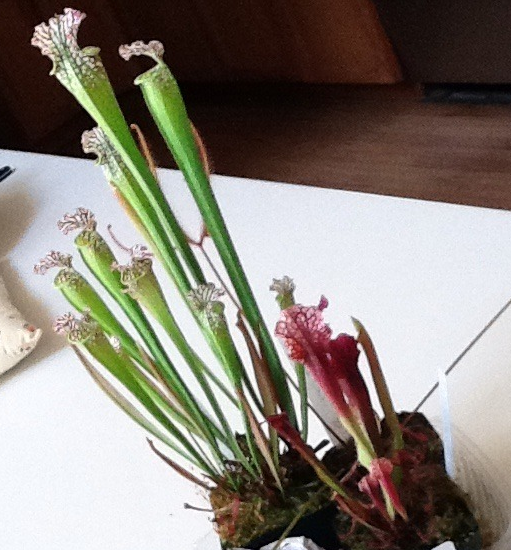 Each one has its own tone when clicked upon, and cycles in six-second increments. Depending on the order in which the drops are clicked, the composition will vary -- yet never becomes cacophonous. I am watching Leo closely, waiting to see if his drop selection begins to follow patterns. The developer of Zoo Train ($1.99) says she came up with this app based on her twin preschoolers' interests, but she might as well have tailored it to Leo's app enthusiams -- almost spookily so. The interface is straightforward -- no narrative (yay), just a five-choice main activity menu. 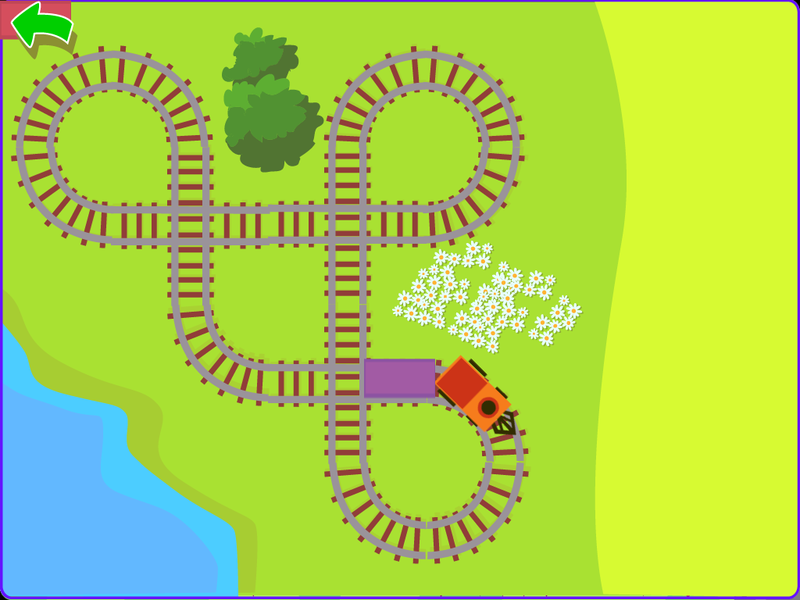 Build-a-train: drag different train cars (I like the Panda and Dolphin cars) to make a train, choose a background, then watch the train go! Word Train: FirstWords-style spelling-through-tile-dragging app. Familiar stuff for Leo, makes him happy. Build-a-track: Drag-and-match track segments to make a full track, then watch a train run all over it. I think Leo likes this activity best, if "like" can be based on "time spent obsessively playing with." Reading is not necessary with Zoo Train, the graphics are cute not twee, there's lots of gentle audio encouragement, and, most importantly -- I didn't have to show Leo how to do a single one of the activities -- they were intuitive enough that he figured them out himself. 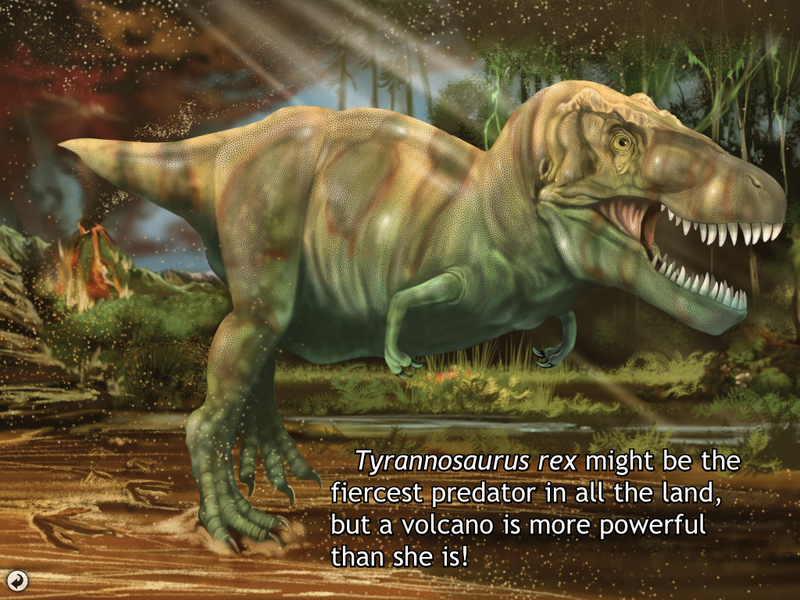 I like this app a lot, but at only $1.99, I have to give Zoo Train a hearty recommendation. Toca Tea Party* ($2.99) This one's all about play -- set up a tea party, tap on all the noms to "consume" them, then wash the dishes. It doesn't seem like much, but my kids love this app -- Leo included (he showed me how to use it, if you must know). I especially like the tap-to-play radio on the tea party table, with its cheerful jazz tunes. And -- a warning -- the startup sequence will get stuck in your head. I've started calling to my kids with a "Hey, Toca Boca!" 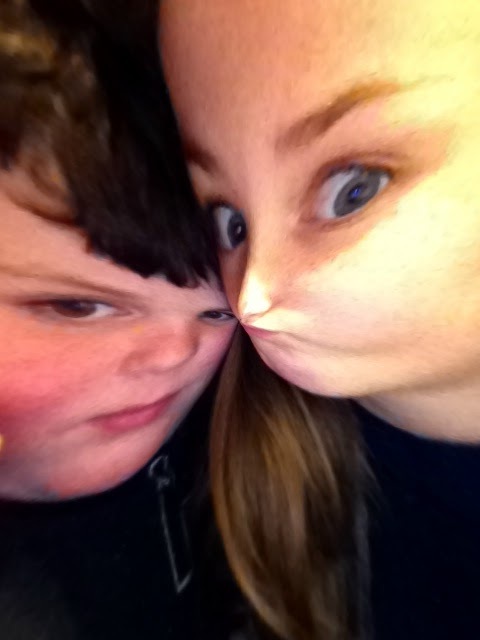 Our kids with autism don't always have to learn learn learn on their iPads. Like any other kids, they should get to play, too. Toca Tea Party suits the pure entertainment ticket nicely. Though these apps were gifted to my kids except where *noted, the opinions expressed are my own. I only review apps we like and use. The Day Leo's Been Waiting for: Mr Brown Can Moo App Released! 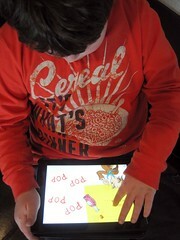 Ever since we discovered Oceanhouse Media's Dr. Seuss apps, Leo has been in heaven. Our boy was already a longtime Dr. Seuss devotee in several other media forms: books, audiobooks, and videos. The Dr. Seuss's ABC video we've had since before he born (and which he still watches obsessively) includes I Can Read With My Eyes Shut and Mr. Brown Can Moo, and cemented his preferred Dr. Seuss story ordering. In Leo's conception of reality, there can be no Dr. Seuss's ABC without the other two! It's been easy enough to provide a trio of books (though we've replaced more than a few), but the apps were trickier since, for so long, only two of the three existed, and Leo wasn't satisfied with my explanations why. But, today, finally, to my relief and Leo's delight, Mr. Brown Can Moo! was released on iTunes. WOOOT! Long as we're talking about Oceanhouse media books, let me tell you about three others Leo likes. They all share one feature that makes them ideal for our boy, and about which I've written several times: a "Read it to Myself" mode. In the early reader books like the Dr. Seuss titles, this means Leo can click on each word individually to "read" himself the book. Which he does enthusiastically, as you can see in the video above. Another early reader book, Five Little Monkeys Wash the Car is a wonderfully silly mashup of two books Leo loves: Five Little Monkeys Jumping on the Bed, and Sheep in a Jeep. Except with crocodiles instead of pigs! 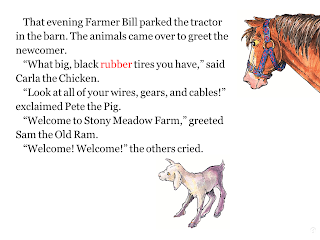 Books for older reader have different functionality -- in Read It Myself mode, tapping the text reads aloud entire paragraphs instead of individual words. Leo and Mali the dinosaur fan actually sit together to read and sometimes bicker over It's Tyrannosaurus Rex - Smithsonian's Prehistoric Pals. Mali's only complaint is that the book doesn't feature enough dinosaurs -- but then Dinosaur Train fans can be quite demanding. 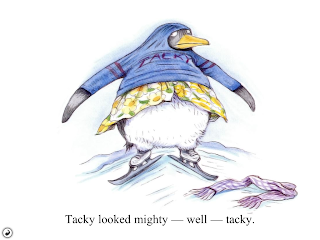 Have to admit, Leo likes Tacky the Penguin , another title for older readers, but I adore it -- clumsy, socially clueless but cheerful and enthusiastic Tacky finds himself in situations that may be familiar to those on -- or who love someone on -- the autism spectrum. This book might be a good resource for introducing the concept of autism to kids outside our community, or just talking about anyone who's a little different than the rest of a group. It's also a sweet and fun story, for those who don't mine every last children's book for teaching points. If you've used any of these apps or read the books they are based on, do comment. 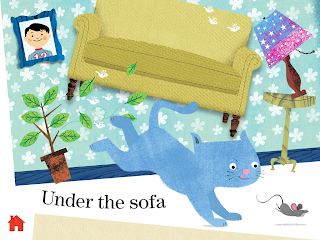 If you've come across other books or apps you think Leo and his sisters may like, please let me know! More apps reviews are coming during the next two days. I also have lots of app codes to give away, though I'll be doing so on Twitter -- follow me @shannonrosa to nab them. Disclosure: Oceanhouse Media gifted Leo and his sisters the apps cited in this post, but if you've been reading this blog for any length of time you know I only write about things we genuinely like and use. We're still fine-tuning Leo's meds. It's been two years since Leo started taking Risperdal to help manage his aggressive and self-injurious behavior. It works, for the most part. He no longer destroys furniture or terrorizes his sisters with his outbursts, nor does he injure himself or others. (He still has the occasional frustration-based outburst that, in hindsight, usually could have been prevented.) The drug doesn't make him any less alert or present. And it seems to stabilize his sleep patterns. Unfortunately, putting our sweet, giggly boy on a black box antipsychotic has not helped another disruptive feature of his autism: repetitive and compulsive behaviors. Right now, Leo needs to stomp, spin, get repeatedly up and down from chairs or toilets, open and close doors, swallow air & burp it back up. He can't not engage in these behaviors. I realize that stimming can serve a legitimate function, or be a coping skill -- but in Leo's case the behaviors seem more compulsive than self-soothing, and are interfering with his ability to focus and learn both at home and at school. Behavioral approaches have not worked, nor have blocking (how do you block a burp?) 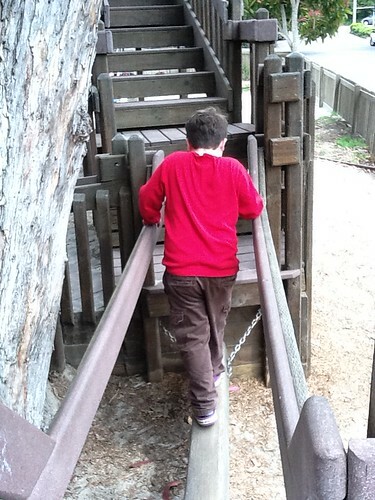 so we experimented with increasing his Risperdal dosage under the guidance of his autism/meds specialist doctor. The large dose didn't help his behaviors at all, and in fact seemed to bring out new ones like head rolling and arching, made existing compulsions more pronounced, stoked his already-ravenous appetite, and led to extreme enuresis. Not good. Not what we were aiming for. So, we rolled Leo's Risperdal back to the very lowest dose -- the dose he'd started with in January 2009, and which we'd increased in the interim due to his being a growing boy. After a few weeks at that new dosage, we added a very low dose of the anti-anxiety med Zoloft, at half-dose for one week to see if he got hit with side effects. He didn't, so started giving him a full (but still extremely low) dose. It's been three weeks, and I'm not really seeing any dramatic benefits, but Zoloft generally takes a month to kick in, so it's still early. And we have to be careful about perceiving meds-associated changes in a changeable boy who is constantly cycling and testing skills, as well as steadily growing and maturing (yet another reason why keeping a daily record is something I recommend -- data data data). But here's what is different since Zoloft: mumbling, whispering, and ventriloquist-style talking through his teeth. He can be coaxed or prompted out of it, though. We are also seeing different language -- longer sentences, asking for songs and stories he's not asked for in years (have you ever tried to play The Lonely Goatherd on a pennywhistle? It's hard! ), spontaneous declarations, associations (after singing Laurie Berkner's Goodnight, which refers to animals and the sounds they make but never associates them outright, Leo listed all the animals in the song by the sound they made "Owl says 'hoo hoo,'" etc.) He's experimenting with jumping with two feet at at time -- up stairs, in and out of the car. But, again, we're not sure if these changes are because of Zoloft. Might just be Leo rejecting stasis while embracing routine, as is his creed. 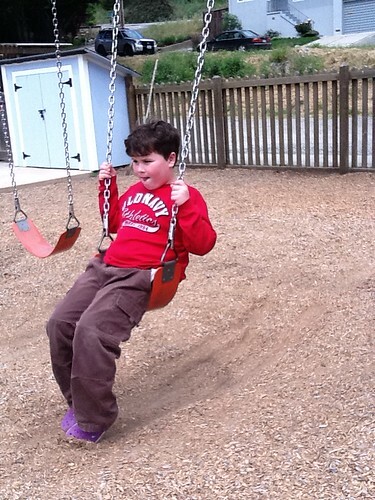 This semi-controlled med flailing is one of the hardest parts of Leo's kind of autism. He doesn't have a specific condition know to react to a specific meds, so we are stuck using trial-and-error, and damn have we had some errors. Overall, though, I believe we are headed in the right direction -- whether Zoloft is the right drug or not, I think his compulsions are rooted in anxiety. And funky compulsions or no, Leo is in a good space at the moment. He is happy, he's affectionate, he loves hanging out with us, playing games, interacting, singing, hiking, goofing around with his new iPad 2 taking pictures of himself or with his sisters. It's spring and it's sunny and our annual Pool Opening is coming soon, he can just tell. He has much to be grateful for, as do we. But Leo deserves more, he deserves ease, he deserves to be comfortable in his own skin. So we'll keep fiddling until we get his meds right. And wrestling with our own anxiety, all the while.